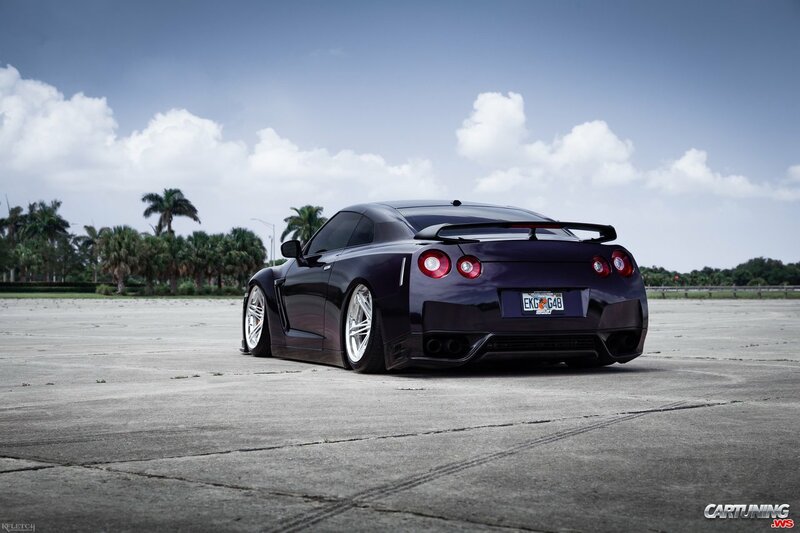 Purple GTR is so low, that he lies on the ground. Not every GTR owner wants only drive fast. Some of them want to be more unique.